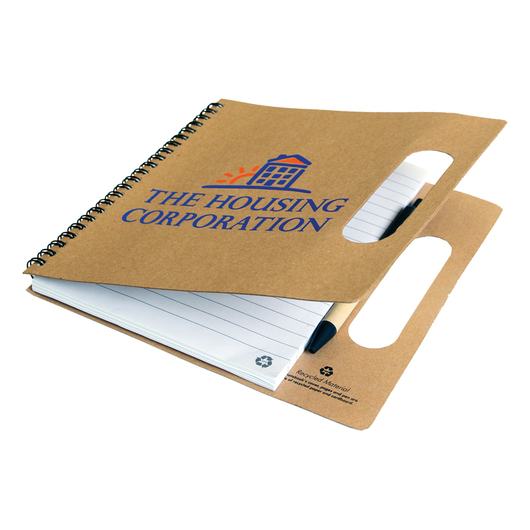 Let's do our best to keep our environment enjoyable, clean, and green by promoting our recycled paper notebook products! Made from recycled paper from its heavy cardboard cover to black ink pen, this notebook product is truly amazing and eco-friendly. 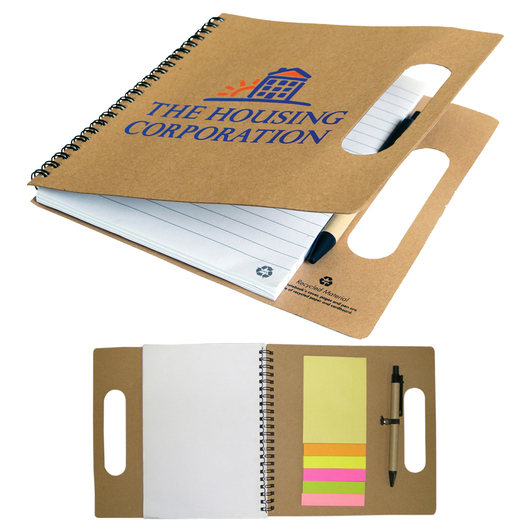 Help save our precious natural resouces by stocking your home or office with recycled notebooks. 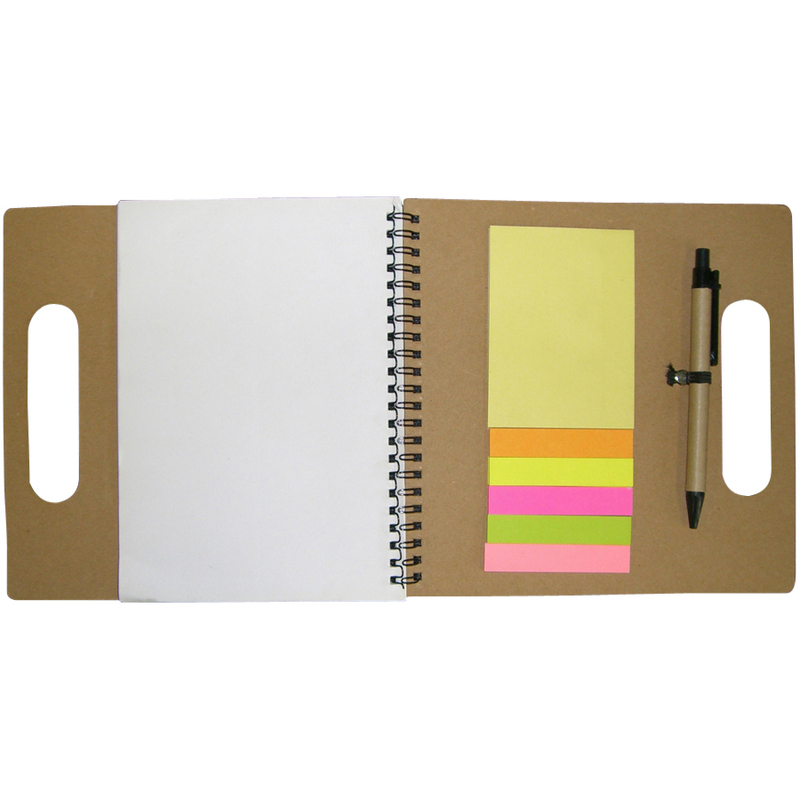 Our notebook comes with an extra heavy duty cardboard cover made from recycled paper and has 75 pages of recycled blank paper. Other features include coloured adhesive note pads, blank black ink pen made from recycled paper and a metal ring binding.